You may already follow my biz account on Instagram, but what you might now know is that I also run an Instagram account for my dog Mochi. I originally started her account just so my own account wouldn't be completely filled with photos of her – but within a couple of months, her account following surpassed mine and then grew to over 100k followers in just a couple of years! Growing Mochi's instagram account is about more than just getting likes and followers. I use her account to connect with other crazy dog parents around the world, to share dog-friendly places in NYC and when we travel, to raise money for charity, and to collaborate with brands that are a good fit for Mochi's audience. So while running Mochi's Instagram account started as a fun creative outlet, I do monetize her influence through various channels (sponsored content, affiliate revenue, event appearances, etc.) and treat it like running a side business! If you're using instagram for YOUR business, you likely want to grow your following (yes, numbers matter!) but you also want to stay true to your brand and attract an audience of potential clients/customers. Otherwise, what's the point? Instagram has changed a lot of the past couple of years, but one things for sure – just posting good photos (even really good ones) doesn't guarantee that you will grow your following. 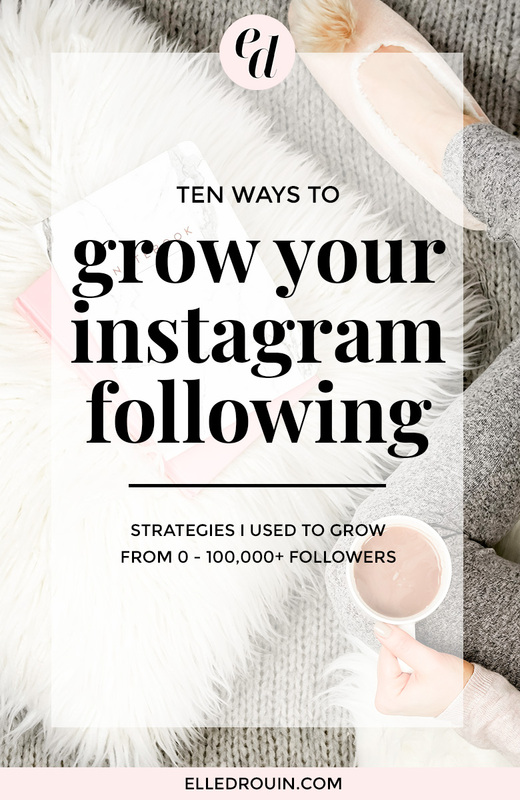 There's a lot that goes into growing a massive Instagram following, so here are 10 actionable strategies I've used to grow Mochi's account from 0 – 100,000+ followers over the past few years! I originally wrote “share great photos” but in reality you don't need to be a pro photographer (or a hire a photographer) in order to share quality content. I think “quality” is a bit subjective – because it really depends on your audience. For example, if your business is fashion / travel / wedding related, the quality of your images is going to matter much more than if you're running an Instagram for your dog. Here's the thing though – I do think it's easier to grow your Instagram followers when you share great photos. No one really wants to follow an account with bad photos unless they connect with you on some deeper level, but you only have a few seconds to catch someone's attention on Instagram, so wouldn't you want to make a great first impression? My advice? Don't share the bad photos. And yes, sometimes it might take 30 “bad” photos to get 1 good one… but most pro-Instagrammers are not just taking a quick photo and just posting it for the sake of posting. There's a lot of work that can go into content ideation, location scouting, styling, shooting, culling, editing and then actually posting the image. I generally post once a day. We take a lot of photos of Mochi (she's so damn cute), but sometimes there aren't any that are “shareworthy” – so I won't post until we can take another. If Mochi's not in the mood to pose for photos, we don't make her. And sometimes it's easier to take photos in batches when she is being particularly cute or doing something interesting. Consistency matters for a few reasons – to stay relevant to your audience, you need to regularly show up in their feed. Also, the chance of new followers finding your account is more likely when you post a new photo – as people engage with it, their activity shows up in their followers' activity feeds. Plus, if you're using hashtags (which you should be), each time you post a photo you have the opportunity to get more eyes on your account. The majority of Mochi's followers are not just people who like dogs. They are not just people who like small dogs. They are primarily women between the ages of 18-45 who live in urban areas (or aspire to live in urban areas) and like small, fluffy dogs, fashion, carbs, wine, travel, binge-watching Netflix and hate-watching the Bachelor. I keep this in mind when creating content, but especially when coming up with captions. The more specific you can be when defining your niche / target audience, the better. When you REALLY KNOW your target audience, you'll have a better sense of the types of images (or videos!) that resonate with them! Just because other people are posting certain types of photos does not mean that you should – for example, most popular lifestyle bloggers post #OOTD photos and photos of their food (because OMG cupcakes! and avocado toast! and latte art!). I post none of these things because my audience honestly doesn't care what I'm wearing or what I ate for breakfast. If your target audience can't relate to it – don't post it! In addition to just engaging with other accounts in your niche, there are a few other ways you can leverage these relationships to grow your following. One strategy is creating an Instagram “pod” or small group of people 10-15 who connect via DM and agree to share and engage with each other's posts. While some people create/join pods just to increase their engagement, I think the real benefits of pods are connecting with people in your niche (who you'd likely engage with anyway), having a built in “support group” of sorts (we're all in the together! ), and being able to get feedback / bounce ideas off each other in a more organized way. I touched on this earlier, but seriously – use hashtags. But not just any hashtags, use hashtags that are targeted to your ideal audience. Using hashtags like #followme or #tagsforlikes will only get you spammy likes/ follows/ comments, and using generic hashtags like #love or #pretty aren't specific enough. I use a mix of hashtags that are targeted but have varying degrees of popularity – for example, at the time this post was originally written, #maltipoo has 470,000+ posts while #dogsofnewyork has 36,000+ posts – but both are specific to Mochi as she is a maltipoo dog in New York. Using these hashtags is better than using #dog which has millions of posts (most of which are irrelevant to Mochi's audience). I typically prefer to add hashtags in a separate comment rather than in the main caption to prevent the feed from looking cluttered. You can use up to 30 hashtags per photo, but even using a handful can make a huge difference in how many people see your posts! If you haven't figured it out already, I'm a BIG fan of goal setting. I went from a career in goal-based financial planning to goal-based marketing strategy and yes, I even set annual goals for my dog. If you set goals, you are more likely to achieve them. Period. Last December I gchatted my husband to tell him that one of Mochi's goals for the year was 100,000 instagram followers. Obviously we've passed that (yay! ), but I don't think I would have really been good at tracking our progress if I hadn't set an overall goal. Goal setting helps you to break things down into actionable, trackable bits – whether your goals are growing to a certain # of followers by a particular date or by a certain percentage each month – you actually have to set goals, to be able to work toward them! In addition to goal setting, my other obsession is analytics. I'm a total data nerd (see also: I went to math camp and majored in finance). I use Iconosquare as well as Instagram's own insights to track various instagram statistics as well as analyze what's working (and what's not). Iconosquare can help you determine everything from what the best times of day to post on instagram are (for your specific account!) to which photos get the most likes/comments to how your account is growing over time. Based on Mochi's post analytics, people tend to prefer close up photos of her. Even though I might love photos taken from further away (when she looks really tiny!) – these photos get lower engagement, so I don't share them as often! I also know from Mochi's analytics, that her followers are most likely to engage with photos where she is laying in bed or wearing some sort of costume or outfit with other animal ears (not sure why her dog ears aren't cute enough for them, but good to know!) – so as an experiment, I photographed Mochi in bed wearing pjs with ears (honestly I'm not sure if they are sheep pjs / bear pjs/ or some other animal? ), and it ended up being the post with the highest engagement of all time for her account! With the changes in the Instagram algorithm over the past year or so, I think the timing of posts matters a bit less than it did before, but it's still helpful to know when YOUR best times to post are – you analytics can tell you when your audience is most active on Instagram so it just makes more sense to post at those times rather than post a new photo when they are asleep! And by “thing” I mean a gimmick (hate that word) or a theme or just a some “thing” that makes your account stand out from all the other ones. Embrace whatever makes you unique. There are hundreds of thousands (maybe millions?!) of other dogs on Instagram and while Mochi is very, very cute – I've actually found it very hard to think about what really makes her stand out. It's much easier to be memorable when you have a “thing” – for example @popeyethefoodie is a foodie dog who always posts photos with food. @Loki_the_wolfdog is known for sharing is outdoor adventures. @mensweardog is known for (you guessed it) sharing menswear in the most fashionable way! Obviously these examples are very specific (and very successful), but even if you don't have a content super power to share, you can be intentional about having a theme or themes for your content – just think about what you want to be known for. Mochi's content revolves around fashion, travel, and life in NYC – if she were a person she'd be a 20-something blonde blogger who's relatable, but she's got that slightly-cooler-than-the-girl-next-door-it-factor that makes all the other basic girls (and their moms) want to be her BFF. She's also super sweet so you can't help but like her! 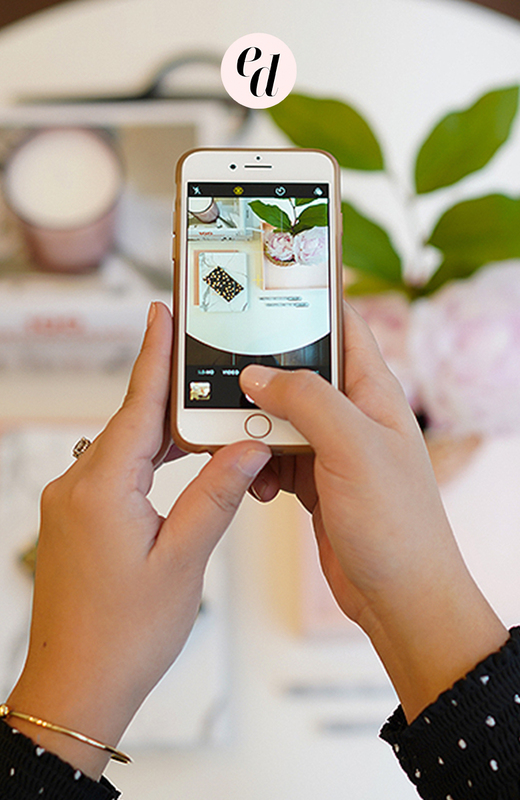 I think there's been a trend toward sharing more on Instagram stories in general, but there are a couple of ways to use Instagram stories strategically to grow your following and get more eyes on your posts! First of all, you may have seen more “suggested content” on Instagram lately, and often times you'll see suggested IG stories pop up in your feed. So by using stories at all you are actually increasing your chances of your followers or potential followers seeing your content. You can also use your stories to share “sneak peeks” at your posts to encourage your followers to check them out and even use your stories to increase your engagement on posts with calls to action. For example, I shared a peek from this post on stories and asked Mochi's followers to “comment on her latest post with what you should think she should wear” – give people a reason to interact with your content if you want them to do it! Whenever people “meet” Mochi on the street / at the park / in an elevator and comment that she's cute or try to pet her, I shamelessly give them her business card and tell them to follow her on Instagram – because who doesn't like cute puppies. I wouldn't recommend doing that for yourself or your business (unless you are a dog? ), but don't assume that your “real life” friends are all following you already. You can promote your instagram account on your website, on your other social media channels, in your emails, or in person – but give people a REAL reason to follow you on instagram (versus anywhere else). For example – maybe you share a tip of the day, behind the scenes sneak peeks, or “secret” sales only for your followers. Looking for more tips? Read THIS POST for a few more tips on how I doubled her following from 15,000 to 30,000 in just 2 months. It's worth noting that I've never used strategies like loop giveaways or any sort of paid promotions / mentions. While these types of strategies can be helpful in growing your following, you definitely don't have to spend money to get followers! What strategies have you used to grow your instagram following? I had never thought about starting a Pinterest profile for my dogs Ellanore & Theadore. Thanks for the advice! Thanks Ricardo – I’m so glad you found it helpful :) Mochi says hello (woof) to you too! HI! This is so awesome and thank you for sharing. I was curious what website or app do you use to track your Instagram stats? Hi Danielle – I use Iconosquare to track analytics for all of the accounts I manage! It’s linked in the post and all of the screen shots are from Mochi’s analytics. It’s a paid service but Squarelovin will give you most of the same information and it’s currently free. Hope that helps! Thank you for this so much! I work in the world of marketung but not with social media. Not yet anyways! I hope to expand into social media but I wanted to grow some accounts to show not just future employers but myself that I could do it! So I started an Instagram for my dog Tesla @thedogtesla I think she’s super adorable! It’s day 2 and we’ve had some really great feedback. Actual comments, a few engaged followers, and decent likes. I do have a question, Instagram won’t let me comment freely. I assume this is because they think my behavior is spamming because it’s only been 2 days and I’ve been heavily active on Instagram. I’m not spamming but do you have any suggestions to fix this? She’s so cute, first of all! Second, all of the tips you have here are spot on. I posted tips here (http://cominguprosestheblog.com/how-to-theme-your-instagram/) on how to theme your Instagram since that’s an important aspect of it, but I love the tip with pinpointing hashtags…targeting the right people and at different size points is so important! Thanks Erica! Yes I definitely think having a theme is important!! Visually they are just so much more appealing! Great tips! I initially read this with a parent lens, and was thinking your phrasing was really odd, talking about a child. Once I realized she was a dog, it made more sense haha. That’s so awesome Christie! Thank you for letting me know (and Mochi thanks you as well)! Great tips, Elle! I’m just wondering, when you tag brands in your posts are you just hoping for re-posts or is the aim to get some sort of kick-back (e.g. products for Mochi, paid posts etc.)? Cheers. Really interesting stuff! I’m trying to start my own social media consulting/teaching business. How many accounts do you find you can manage at least just on Instagram? Would love to hear some tips on how you manage multiple accounts so well. Great question Phyllis! I am logged into 5 accounts at all times and post anywhere from 1-3 times a day for each of them. I typically plan content out in advance and use planogr.am for certain accounts. I’ll probably do a full blog post on how I manage / schedule this month! So helpful, many thanks and keep sparkling.. Thank you so much for putting together such a comprehensive list. Seriously, THANK YOU!!!! 2. Your posts are really inspiring. I’m learning a ton that I can apply towards my personal social media but also my client’s accounts as well. Great article, will definitely do that! Are there any other tips for boosting followers if you are a strictly Local Business? 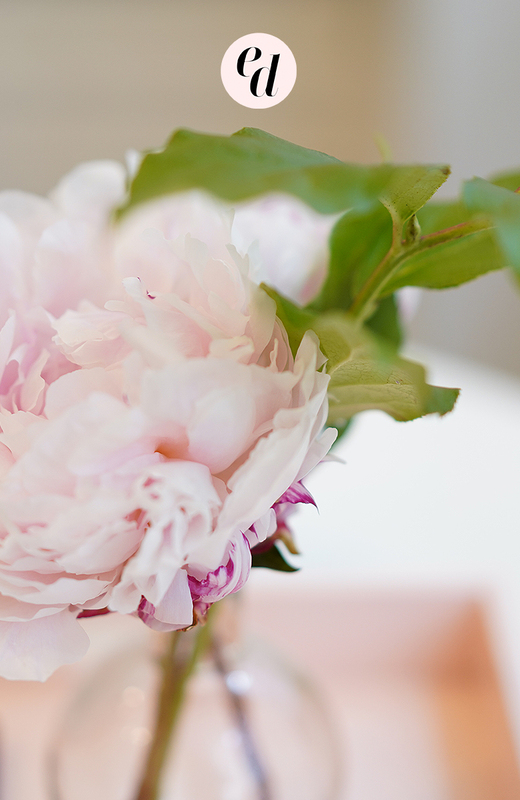 We offer Wedding and Event production, but we mostly stay in the greater Chattanooga, TN area. Hi there! I’ve tried posting daily, like everyone says, but I’ve seen a decrease in engagement. I feel like I’m bothering my followers. Any advice? Thank you! Great article. I must say I did no know how important hashtags were until I started using them a month ago. After using them for the first time, I was hooked. I literally started getting tons of likes and comments immediately after my posting. I now never make a post without researching hashtags. Love your article!! Is there a photo edit app that you recommend to enhance those daily insta photos? I love Snapseed (especially for flatlays) and A Color Story (especially for lifestyle images)! This is an older post, but I’m just getting started… I have a brand new insta account (yesterday). My 8 week bernedoodle puppy is my brand ambassador for my business, which is dog paintings, pillows, stationary all made from my art. All breeds. How do I encorporate both without scaring people off? Thanks For the info. Just love it. One question I want to ask. Will you recommend any automate following software for Instagram? I don’t use or recommend any automation services as they are against Instagram’s terms of service! I’ve fallen in love with looking at & posting Instagram stories recently. Great post! This is a great read! Thanks for sharing. 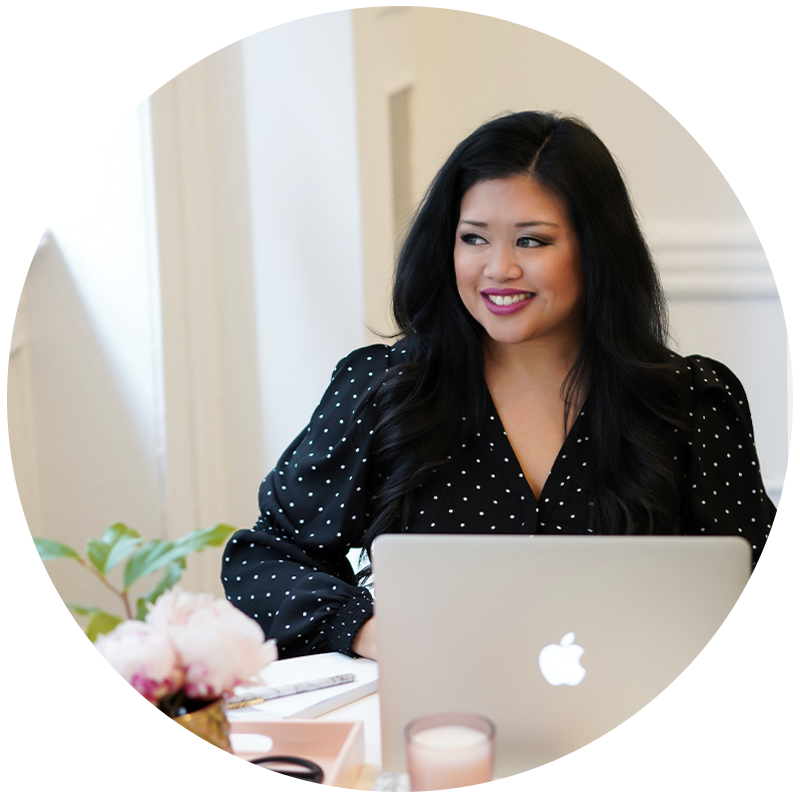 I am a new business owner and these are great tips to keep me on track with Instagram marketing. Nice piece! While it was posted in 2015, a lot of these strategies still hold true today. Gary Vee’s $1.80 cents rule is also a great way to gain relevant, engaged followers by posting on the top posts in 9 different hashtag categories. Its really helped boost the traffic on my Instagram page alongside curating content to auto post in Planoly (excited to see other people are using the platform!). Making friends within your niche is so powerful, couldn’t agree more!